By Caz | March 28, 2019 | This post may contain affiliate links, which means we may receive a small commission, at no cost to you, if you make a purchase through a link. Read our Disclosure. I’m not the biggest fan of Los Angeles. I avoid flying in and out of LA whenever possible. 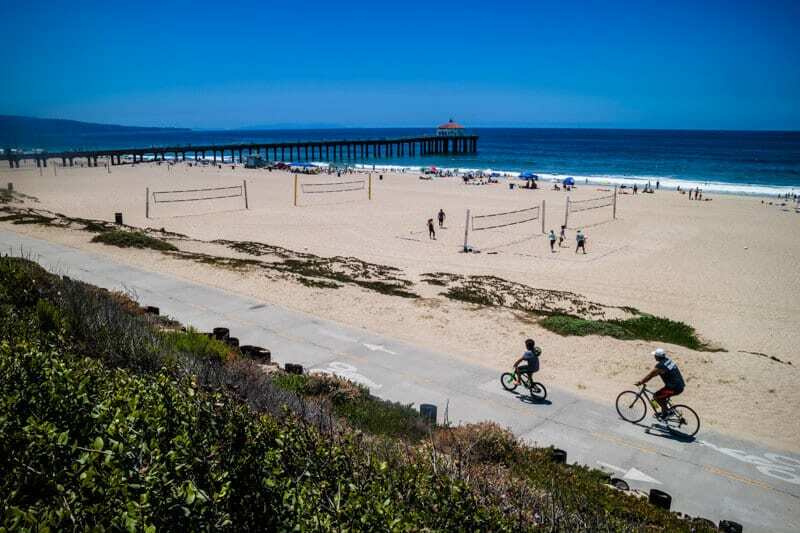 If it’s unavoidable, then I head straight for Manhattan Beach or Hermosa Beach in the South Bay area. It suits my vibe much more than Santa Monica, Hollywood, or Malibu. When I first visited LA in 2006, Downtown LA was a no go area. Noted for crime and nothing much to see, we steered clear of it. 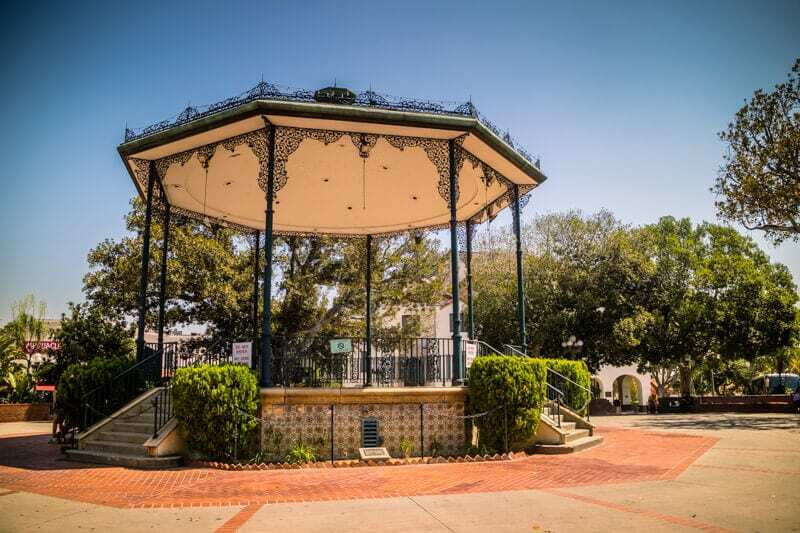 Since then it’s gone through a huge revitalization and is known as a hip and happening place. 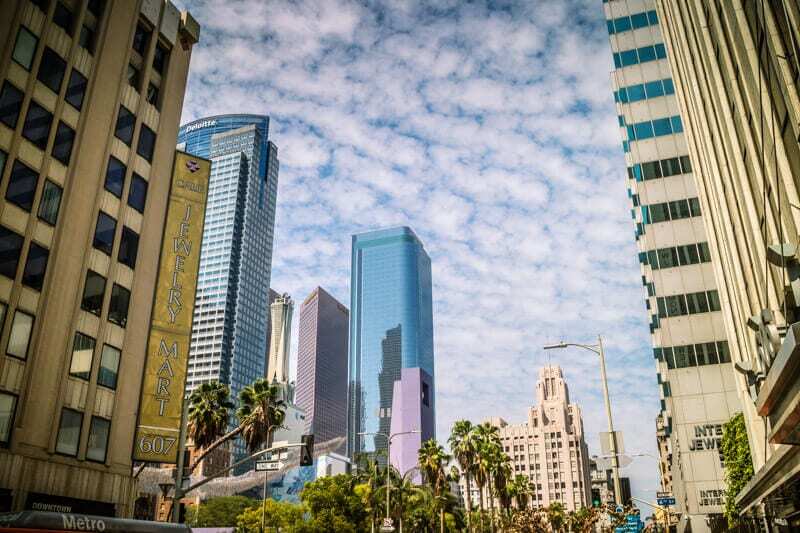 So when I decided to go to LA for Blog Her conference and I was a little excited to have the opportunity to check out Downtown LA and perhaps change my opinion of Los Angeles. And it did. I loved my time visiting Downtown Los Angeles. Perhaps I’m a little city starved, but I found Downtown Los Angeles to be vibrant and fun while not being too chaotic and city overwhelming. 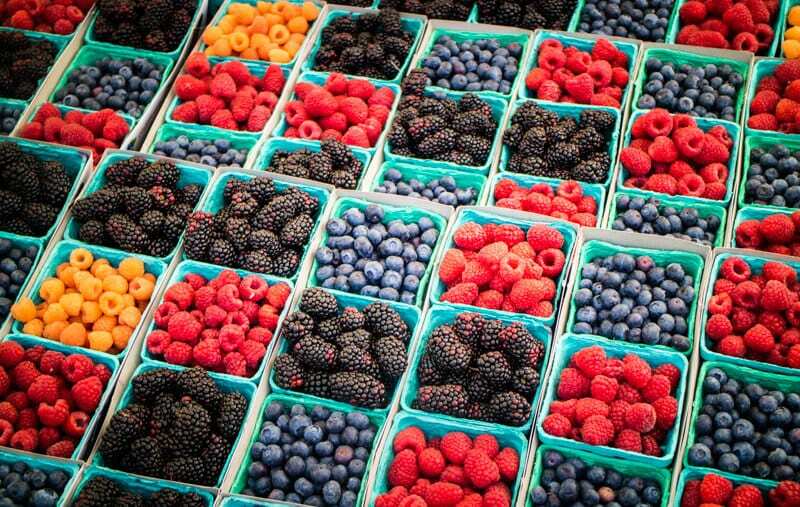 I spent the first half day in Manhattan Beach catching up with my friends, Natalie Discala and Johnny Jet and meeting Johnny’s amazing dad at the Farmer’s Markets. I lost my grandparents very early in life, so loved the opportunity to chat with someone who’s’ lived a full life and has so many stories and wisdom to share. The ability to walk everywhere. I’m a walker and a fast paced one. I rarely get to indulge in that when traveling with kids. I was doing 10 – 15 kilometers a day and loving it. I loved leaving my centrally located apartment with no particular plans than just to see what I could find. I had a few tips from our community and my Airbnb host to help guide me. There’s such a vibrant mix of culture in Downtown LA. I loved walking around and hearing a great mix of accents and language around me. It is hip and happening. 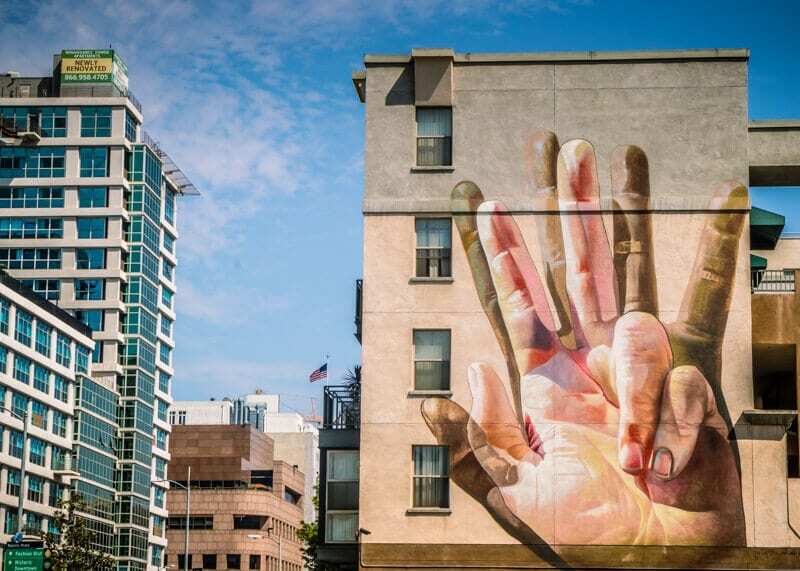 Cool street art, funky cafes, amazing restaurants, a great nightlife, history with a lovely mix of modern. I usually complain that LA weather is bad when I go to beaches in LA as there is always a cool breeze off the ocean making it feel so much colder than it is. 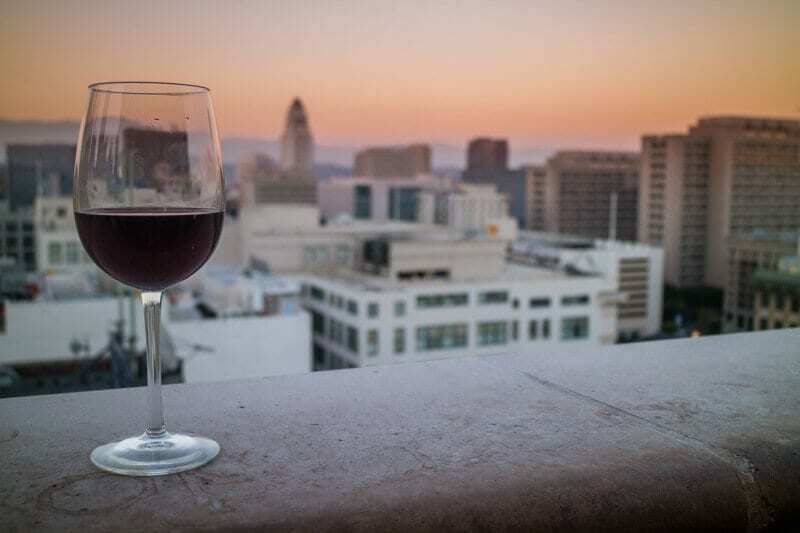 But in Downtown LA without the breeze, you get the warm, dry heat, which cools down to comfortable levels during the evening. As mentioned, the best way to see Downtown Los Angeles is to walk and see what you find. There are many hidden side streets, funky buildings and amazing street art to see. Olympic Boulevard, a block away from LA Live, is where I saw the following street art. Keep an eye out for filming while you do. There seems to be filming happening almost daily in Downtown LA. I saw them set up in multiple locations. I walked out of my apartment one morning and the streets had been transformed into New York City. They were shooting a scene from Rosewood. It was cool to watch the behind the scenes of it. 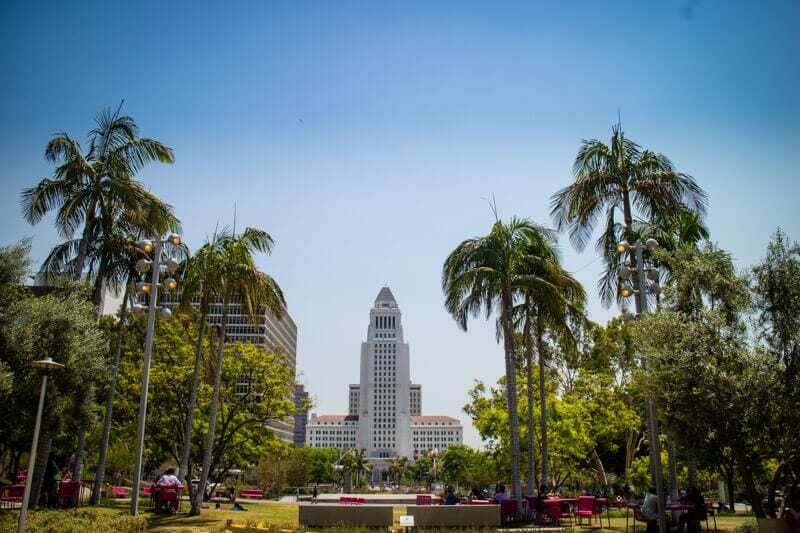 There are plenty of photos you can take of palm trees framing beautiful buildings. 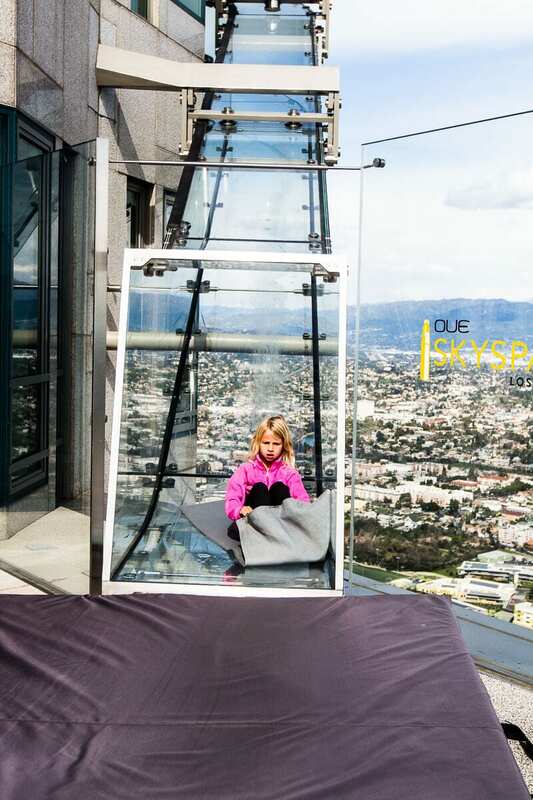 Are you brave enough to slide from the 70th to the 60th floor of California’s tallest building on a glass slide? I thought nothing of it, but a few people behind me screamed the city down and many on social media said they wouldn’t do it. The slide was over so quick you barely notice you’re held up by a piece of glass hanging off the side of a building. I forgot to check how strong it was. I thought it was fun and I promise you it’s not scary. It is expensive though. It cost me $35 for a trip up to see the 360-degree panoramic views of LA, including one turn on the slide. It will cost you an extra $8 each time you want to do the slide again. 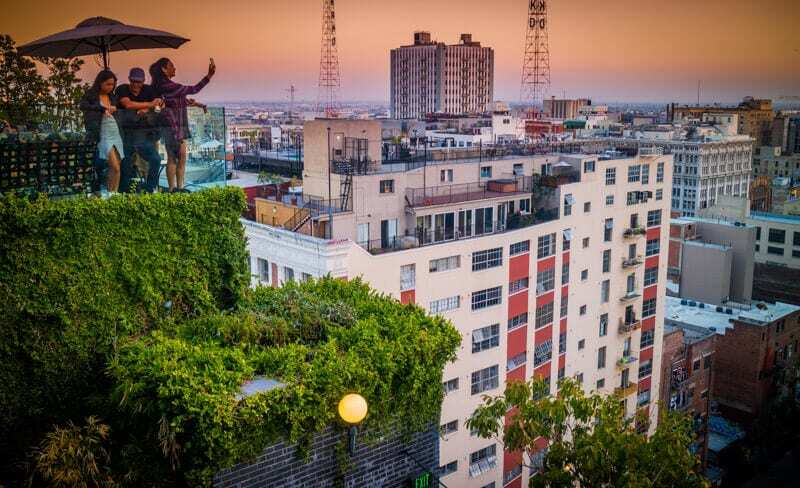 But the Oue Skyspace is a unique experience and worth doing if your budget is not too tight. 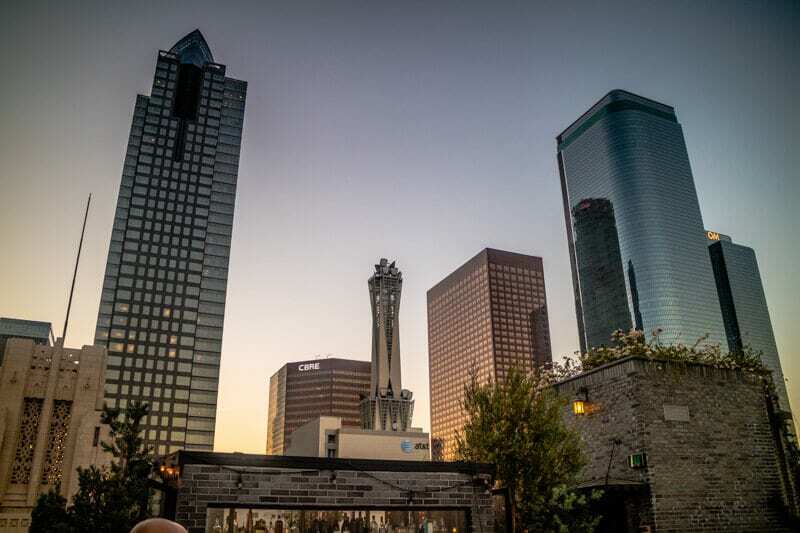 The Perch Rooftop Bar is possibly my favourite rooftop bar in the world (so far) and the best thing I experienced in Downtown LA. 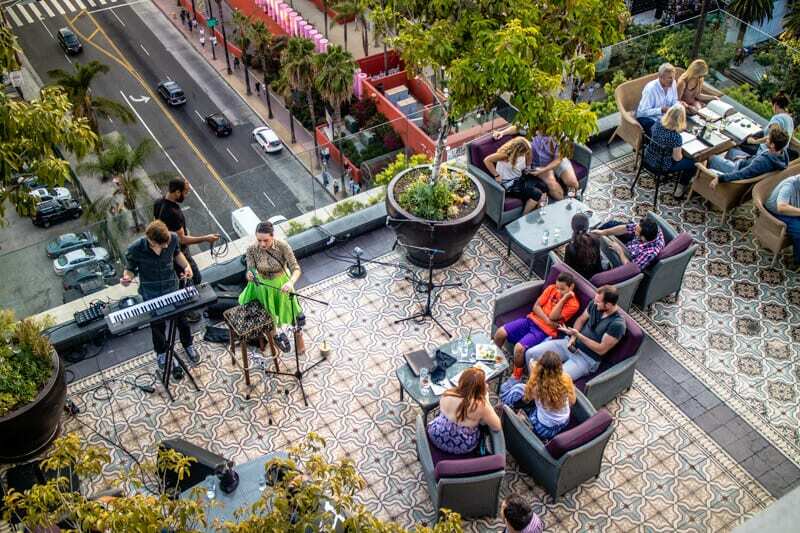 Thank you to Venessa (my Airbnb host) for recommending the Perch Rooftop bar to me. 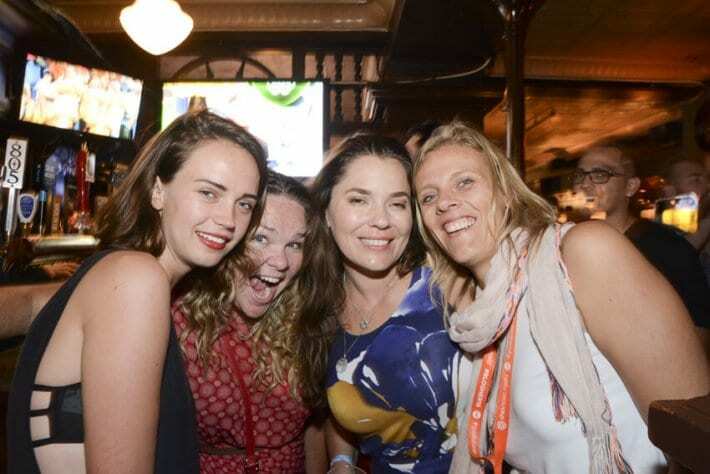 I almost didn’t go as I was tired from my late party the night before with my conference buddies. But, my window of time was closing and I wanted something awesome to report back to you. I grabbed myself a glass of Chardonnay, followed by a Shiraz, and soaked up the sunset views and the serenity. 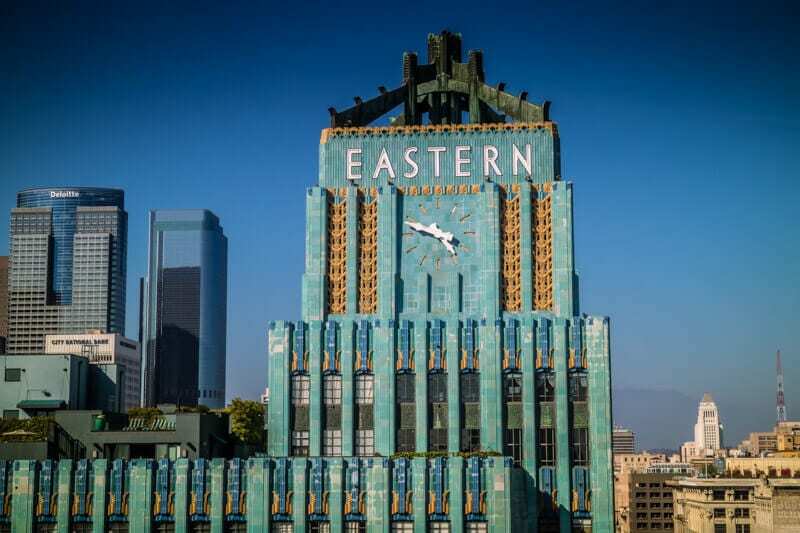 The rooftop bar is perched on top of an old art deco building. The French inspired ambiance is chilled, happy and unpretentious. There was live music on the restaurant level below and down on the ground in Pershing Square was a vibrant Gays against Guns festival. I was smart enough to drag myself back out once the sun went down for an early night. If you’re looking for a place to just hang for awhile, this is it. Bring your swimmers, your book, and even your laptop. 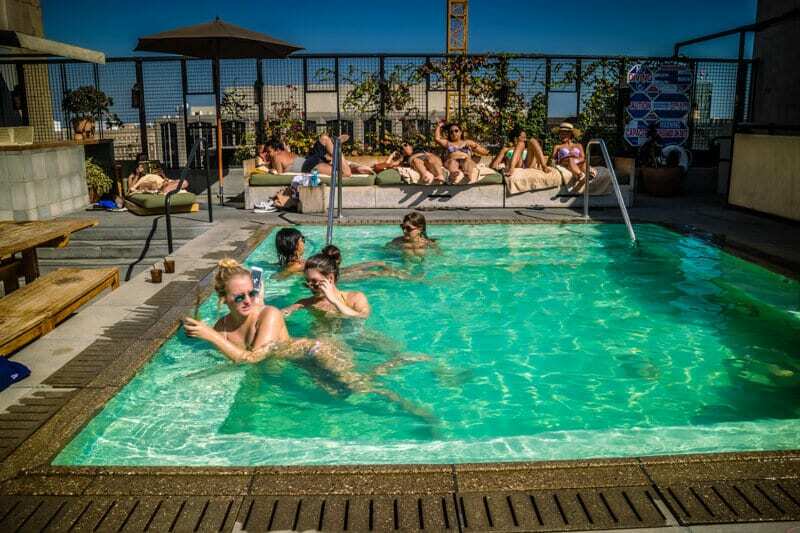 My last afternoon/evening was spent at the Upstairs rooftop bar at the Ace Hotel. There’s a lovely Moroccan designed covered area popular for people for those tapping away on their computers with an ice cold happy hour PBA. 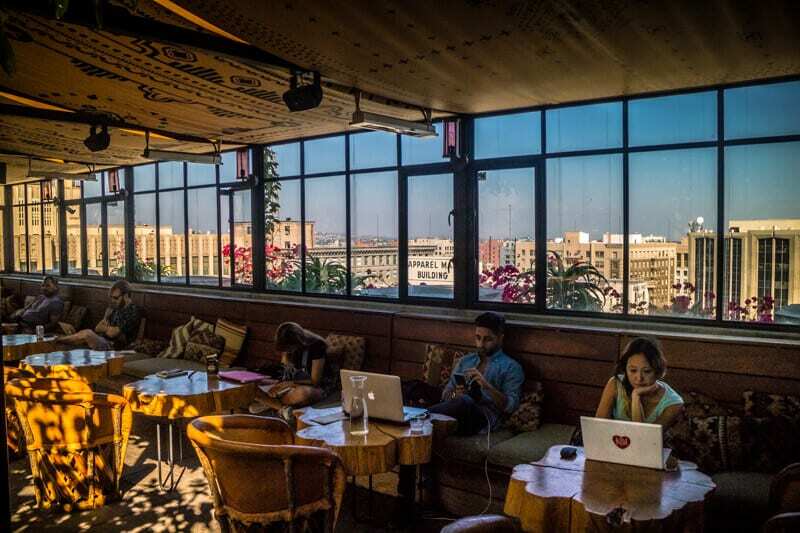 It’s a digital nomad’s dream office with those LA views. For the cooler days and nights, there’s a fire to sit around as well. Walk through the bar to the other side was a swimming pool. Yep. What an amazing way to cool off from a hot summer LA Day. There are plenty of lounge chairs for you to chill out on as well. Then enjoy the spectacular sunset. There aren’t as many high rises here as there are around the Perch Bar so you get to see more of the setting sun. Try the tofu tacos – they look simple, but pack in a lot of flavour. You can also stay at the Ace Hotel. 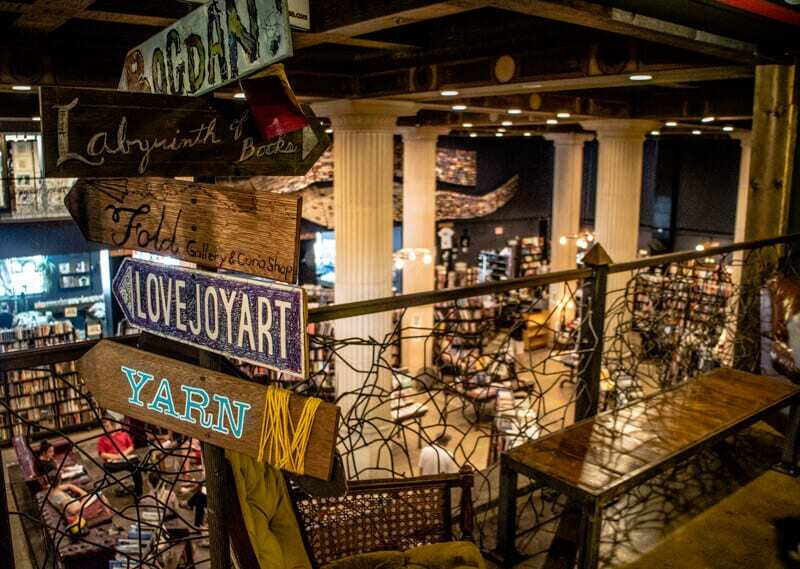 If you are a book nerd, you’ll want to reserve a couple of hours to lose yourself in The Last Bookstore. The Last Bookstore is California’s largest used and new book and record store and began in a Downtown LA loft. It has grown since then to 22,000 square feet and is housed in the grand atrium of what was once a bank. The best treasures are kept upstairs. It’s a labyrinth of books suspended in flight as they erupt from a bookcase, tunnels built from books, hidden side rooms with more than 100,000 used books for sale, plus free-standing sculptures and mobiles. The only thing missing is a cafe! I can’t believe I stumbled upon this area in my quest to find good coffee at Union Station. Imagine just stumbling upon a square surrounded by Spanish-style historical buildings, churches, and cobblestone streets. I soon discovered this was the site of the first settlement in LA!! 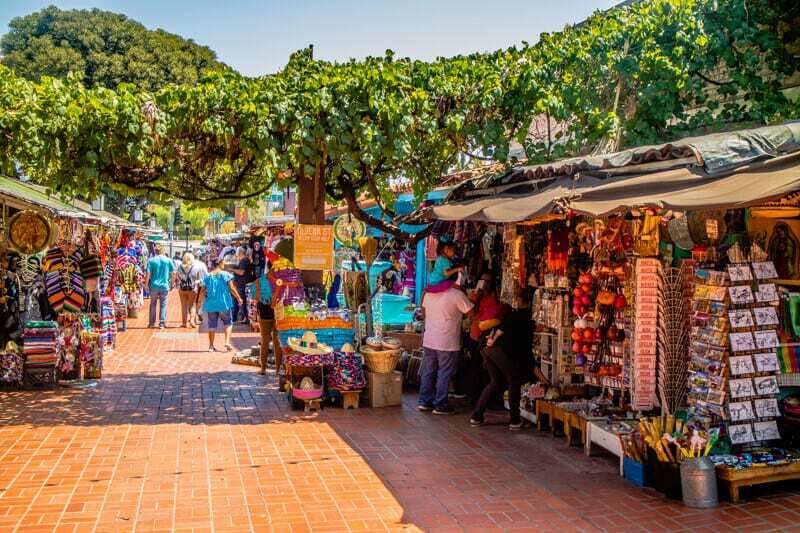 Olvera Street, LA’s first street, is a long, narrow, tree-shaded brick lined market with old structures, street vendors, cafes and restaurants famous for tacos. 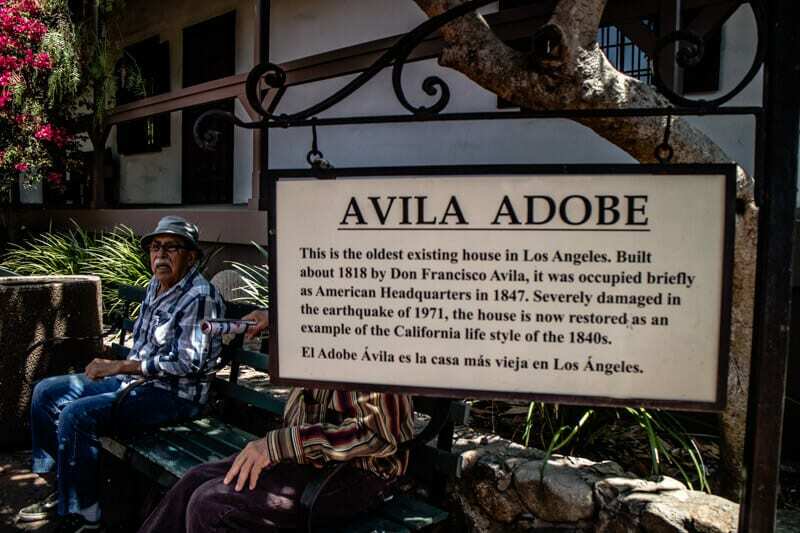 Adobe Avila is the oldest house in LA, which you can take a walk through. 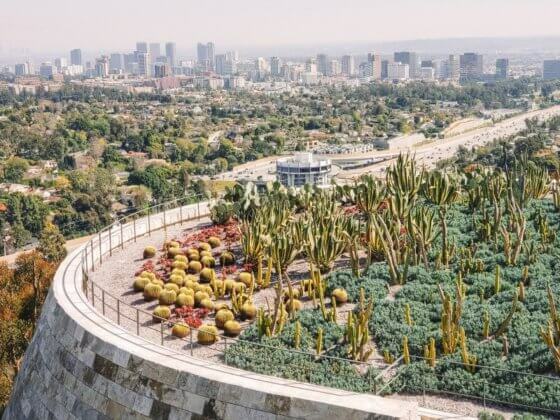 It’s in an area that is not too developed with high rises so it feels so authentic and you can look out from the garden across to the Spanish style Union Station. 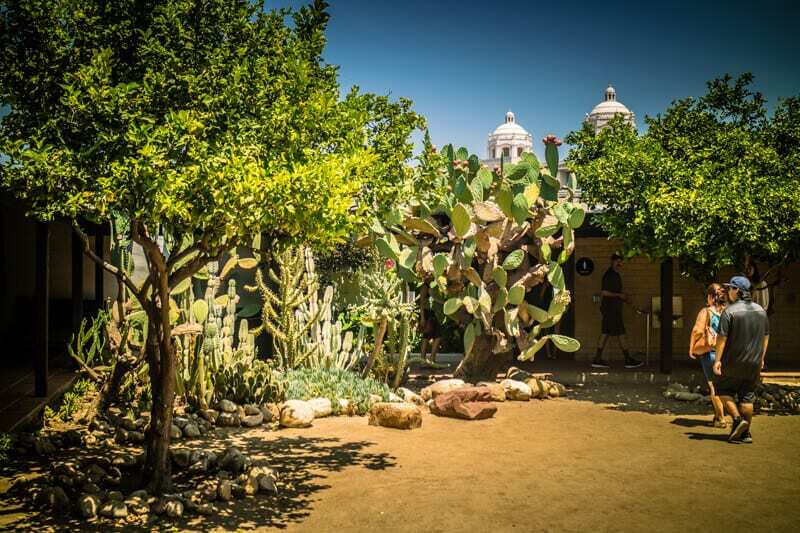 I visited a couple of times as I found it a peaceful and pretty place in LA to be in. Feeling hungry or thirsty and just want a young, vibrant, multicultural atmosphere? 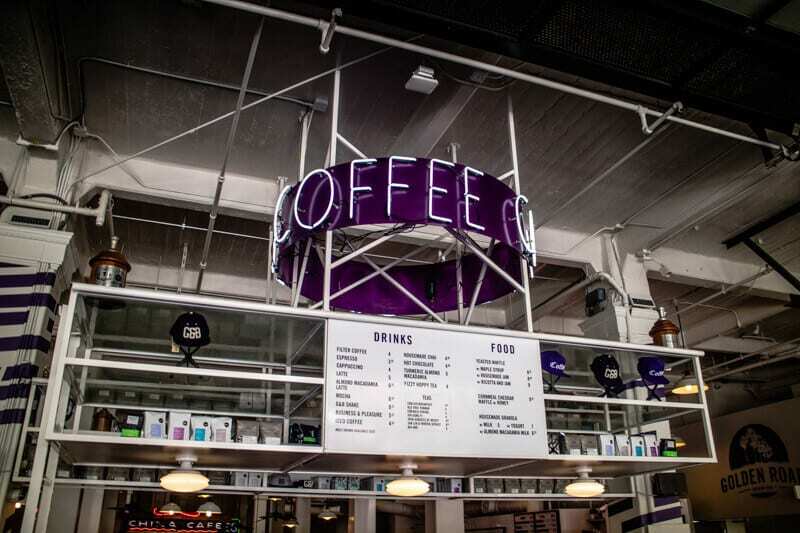 Head to the Grand Central Markets. The markets opened in 1917 and had stalls such as greengrocers, fishmongers, Jewish delis, and butchers, as well as stalls for dry goods, baked goods, flowers, coffee, cheese, notions. It has evolved into a food emporium, retail marketplace and gathering place. I ate here several times. It was easy, fun, and fairly cheap. It was crazy to watch the lines for some of the vendors, in particular, the many Mexican food stalls, and Eggslut. I’m not sure what Eggslut had going on besides a very interesting name. I was not about to join the line that wrapped around the stall almost twice to find out. I don’t do lines. But someone on Instagram stories told me their food is worth it if you’re willing. 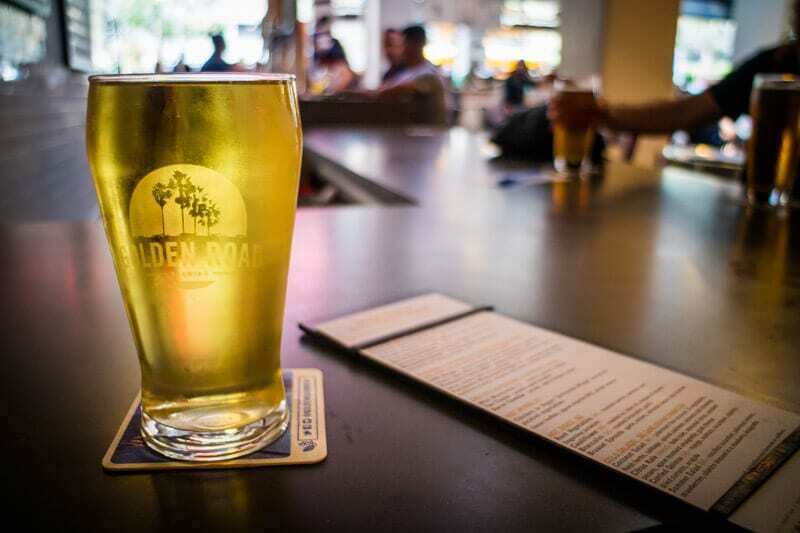 I instead grabbed a very authentic and delicious pad Thai from Sticky Rice, a ramen rice bowl from Ramen hood, a creamy coffee from G&B coffee (the waffles smelt amazing here) and a thirst quenching cider from Golden Road Brewery. I also had a smoothie from Press Brothers Juicery, but I didn’t find it too raveable, although I am a harsh smoothie critic. Across the road from Grand Central Markets is a bright orange archway leading to the world’s shortest railway at 298 feet. 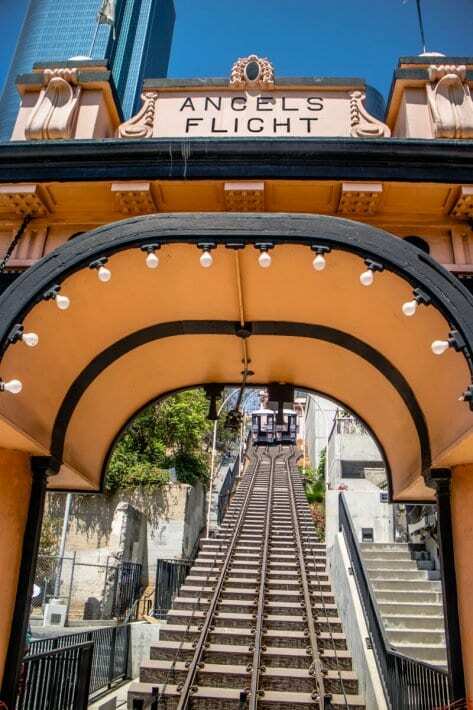 It’s a quirky historical landmark which last stopped running in 2013 after one of the twin cars slipped off the track – with an Aussie tourist inside!! My local friend, Lizza told me about it. She was shocked that I had missed it on my first visit to the Grand Central Markets. It’s short enough to miss! 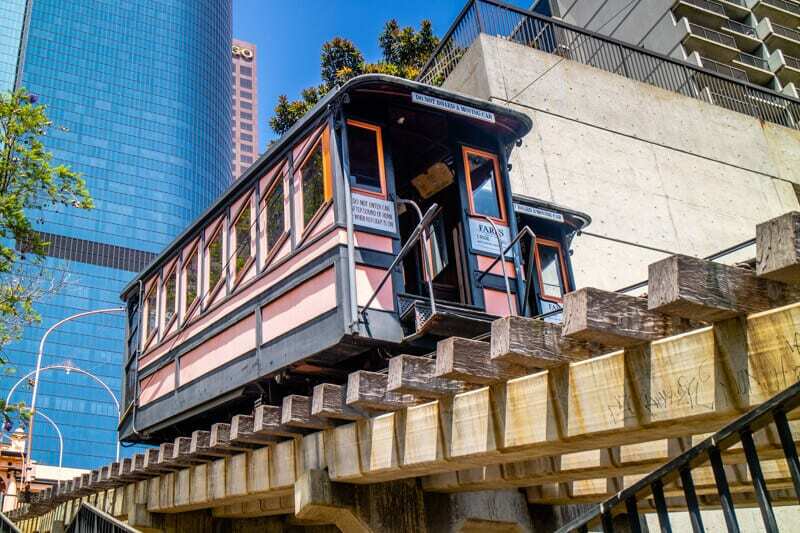 Angels Flight was originally built (in a nearby location) to carry residents of the luxe homes on Bunker Hill to their jobs in downtown. By the 1950s, it had carried more than 100 million passengers. It won’t be reopened until they can upgrade the safety so passengers won’t be flung out the doors. Hilarious. For now, you can take a look and a few photos and climb up the steep stairs instead. 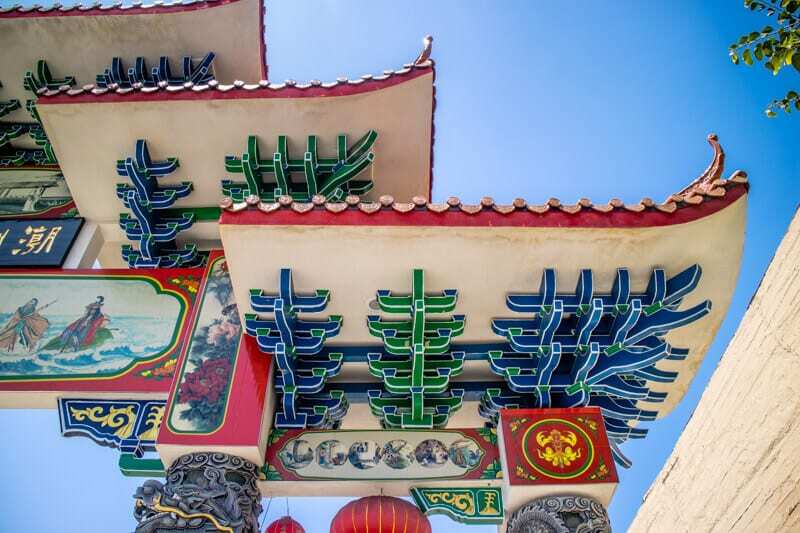 There’s not a lot to see in Chinatown and probably not worth a visit unless you are mad on Chinatowns. 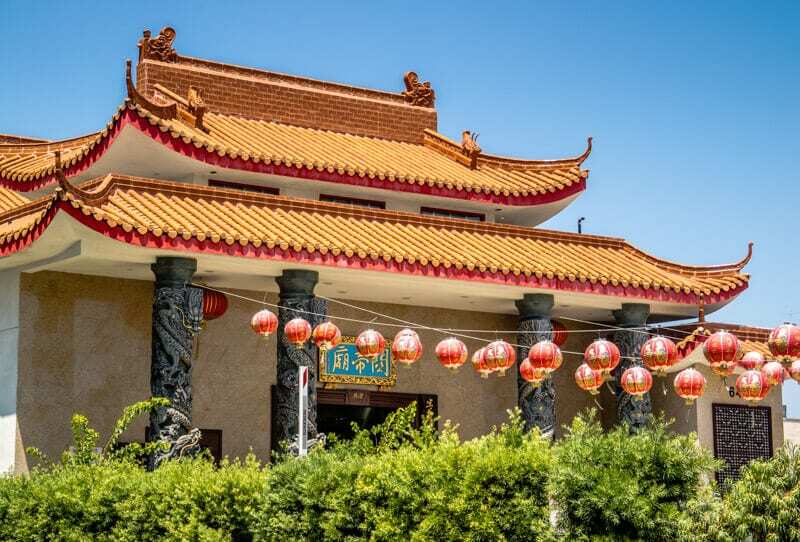 I did stumble upon this beautiful temple, just near the Chinatown gates. I like the photos I took which is why I’m sharing it with you! 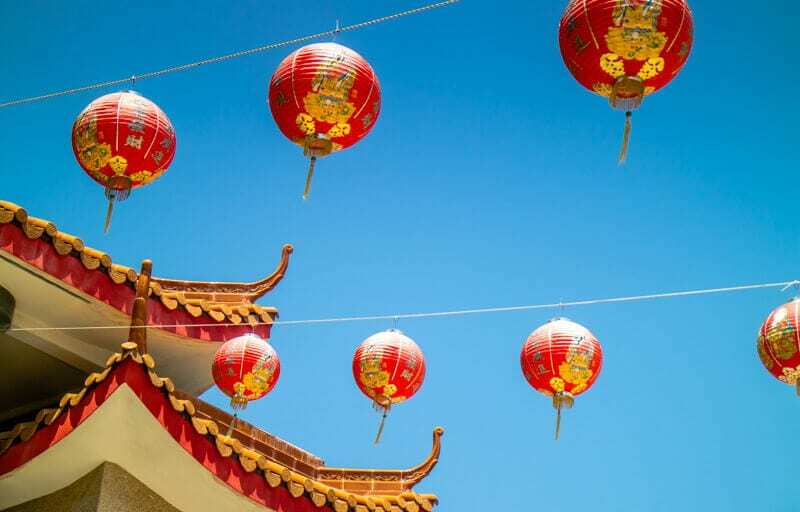 Chinatown in LA is known for its dim sum. Being gluten free I can’t tell you whether they’re good or not! 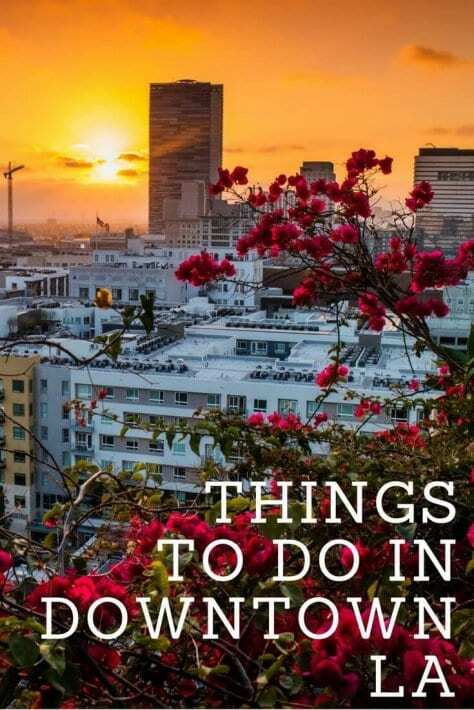 The following are things I did not get to experience in Downtown LA but were recommended to me as things to do. Tour of the LA Times building: Lisa from We said Go Travel recommended this as an interesting tour to do. I found out about it too late to reserve a spot on the free tour, though. Make sure you phone ahead in advance. The Broad: the line up was far too long for me to contemplate joining the free tour of this contemporary art museum. You can book tickets in advance. Read more here. 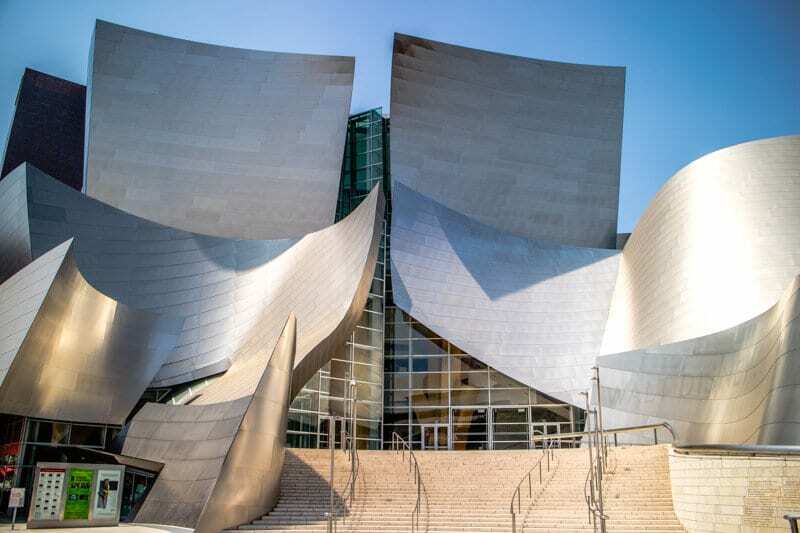 The Walt Disney Concert Hall: I did appreciate this building from the outside, but you can also do hour-long tours of the inside on most days. Find more information here. If you plan on doing a few attractions in LA, purchase a Sightseeing Pass. It is a city discount card which will save you money on several big name attractions. we use them in all major cities we visit. 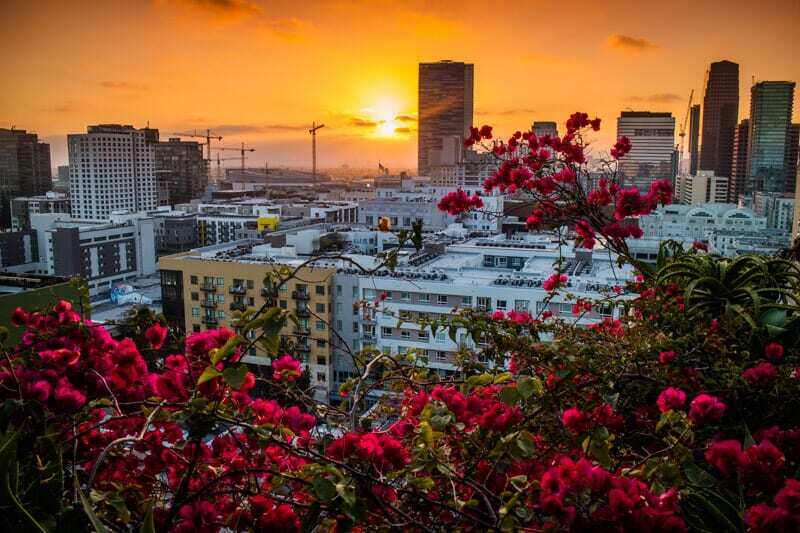 (We also work as affiliate partners with The Sightseeing CArd and they provided us with LA passes). We are happy to share them with you as they can be a great saving tool when you travel. 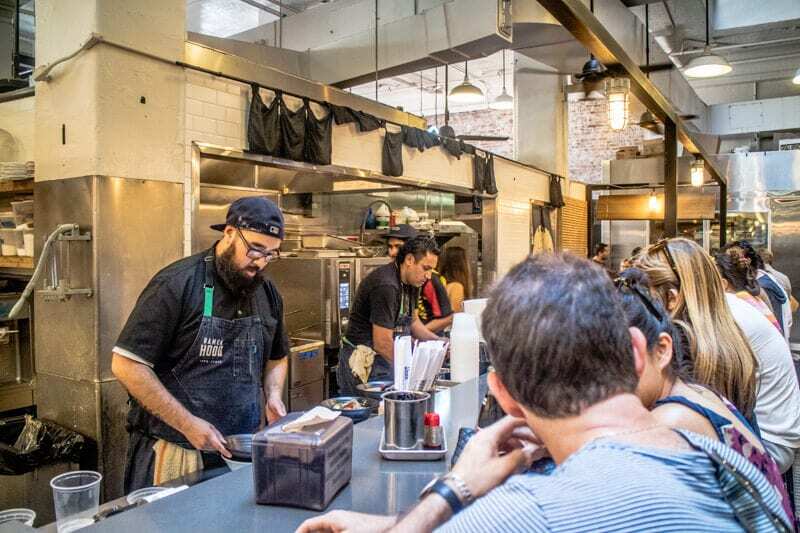 Apart from the aforementioned Grand Central Markets, Upstairs and Perch bar here are a few other places I enjoyed eating and drinking at in Downtown Los Angeles. Lisa from Instagram guided me towards Barista Society at Union Station. 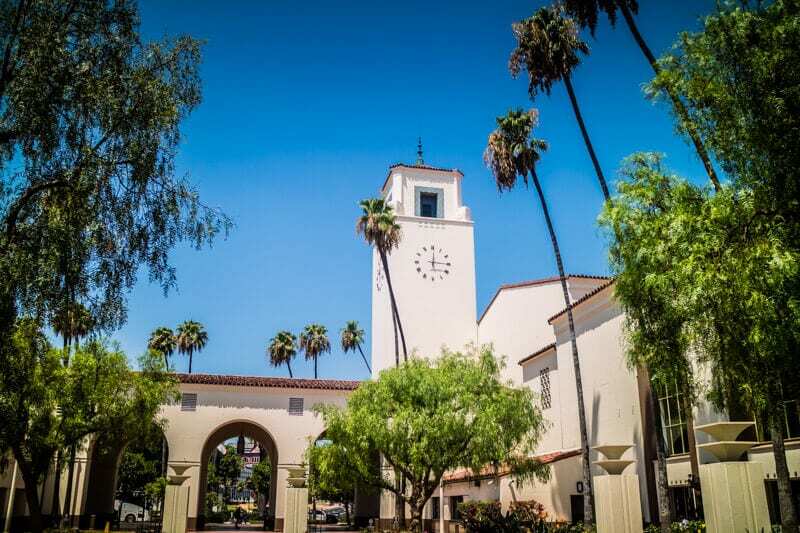 Without her coffee tip, I never would have stumbled Olvera Street and the pretty Union Station. At first, I thought she’d given me the wrong tip with the cafe being just a counter top. Oh no! It’s a quick grab coffee shop at the train station. Turns out I was judging the book by its cover totally incorrectly. The coffee was creamy and traditional – so the lady told me in her refusal to give me a large cappuccino – they become lattes when they turn large apparently. She knew what she was doing as it tasted good even though it was small! Aussies they even have an “Aussie flat white” on the menu! Juice Crafters became my go to for my morning smoothie. For those who follow me on Snapchat, you know I have a slight smoothie addiction. 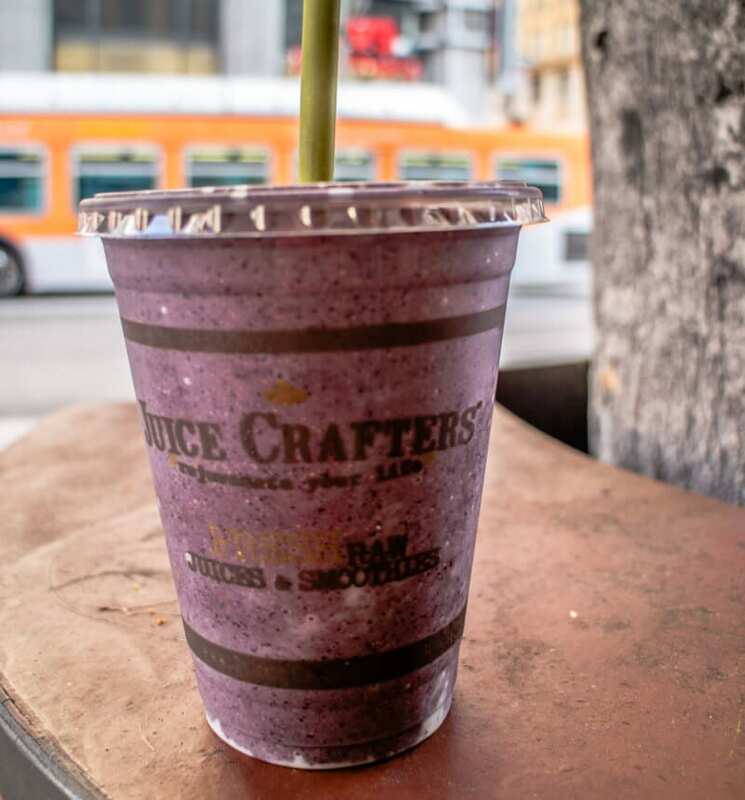 They nailed it with their Pacific Love smoothie complete with bee pollen and royal jelly. Love the goodness of the bees! Their green juices were also great. A dimly lit a Tex-Mex cantina, Bar Ama came highly recommended to me as the place for delicious Mexican food. 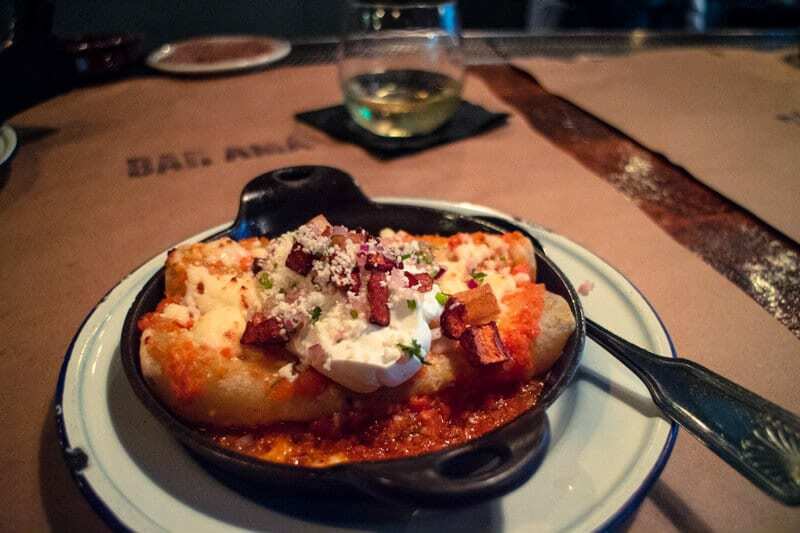 I had the AMÁ’S ENCHILADAS – carrot sofrito, queso fresco, potato. I really didn’t know what many of those words meant, but it sounded good so I took a punt. It was a little small and expensive, but delicious and paired beautifully with my glass of white wine that I could not pronounce! I was disappointed I missed their nachos hour at the bar by a couple of minutes. I had to sit at the bar anyway as it was super busy! Make a reservation if you visit. Apparently, the fluffy tacos and mescal based drinks are the things to be seen having at Bar Ama. If you’re looking for some pub grub, Beelman’s Pub is a pretty cool place to hang out. You can sit outside and watch the DTLA life go by. There are happy hours every afternoon and decently priced meals. It was my first meal in Downtown LA, and the first of many fish tacos! They were delicious. 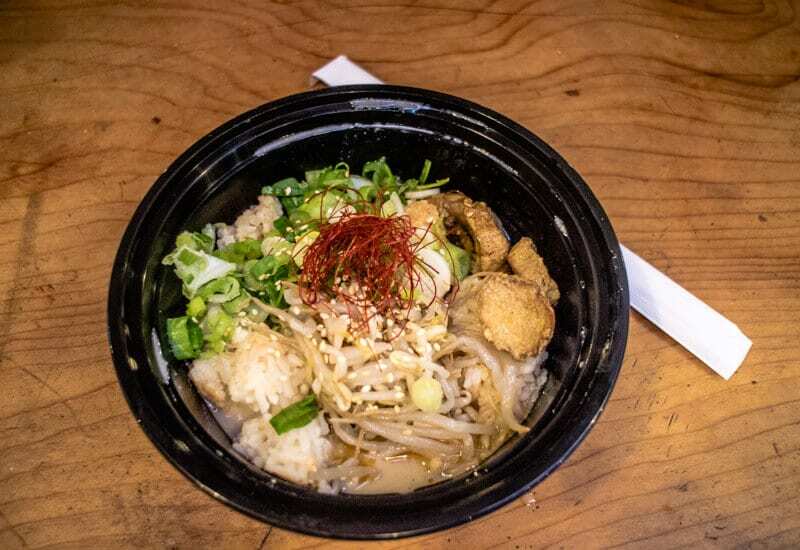 I highly recommend pairing it with a bowl of chili lime edamames! I loved all the music memorabilia on the wall. It seemed to be a bit of a local’s favourite and a cool meeting place. I ended up at Kachi after a pop-up cafe I was chasing coffee from was closed due to a broken machine. Their barista told me this was one of her favourite places to go. 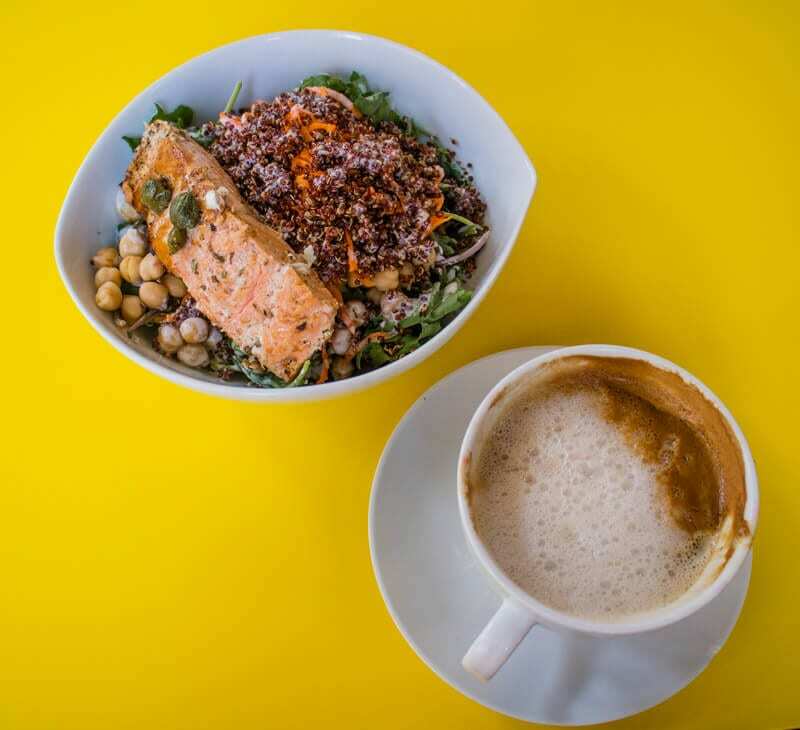 The coffee wasn’t so great, but I loved my salmon and quinoa salad bowl. It was exceptional. The decor was funky and fresh and the cafe really busy. It’s on the outskirts of the Western side of DTLA. Probably not worth a detour, but if you are in the area, grab a yummy lunch from here. Now y’all might visit and not have the incredible DJ Fulano as your DJ like we did. He was the host of our final BlogHer party. They outdid themselves. Not only did he play the best music I’ve heard from a DJ in a very long time, he is only 13, and has worked live events for such luminaries as Stevie Wonder, President Clinton and Diane von Furstenber since he was 9! No wonder he knows to spin such classic tunes. 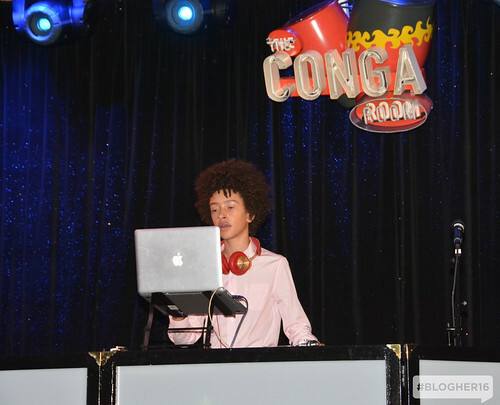 The Conga Room is in the LA Live area and is known as one of the hottest clubs in Downtown LA and often frequented by celebrities. We grabbed a spot out on the balcony so we could chat with each other, but kicked up our heels for a bit of dancing on the way out. Snapchat and Instagram stories followers got the inside look at that! The Library Bar was our next stop after The Conga Room. It was a bit more of a mellow place to hang out with its book-lined walls and leather couches. I found the music a little too loud for its style that seemed to encourage intimate conversations. 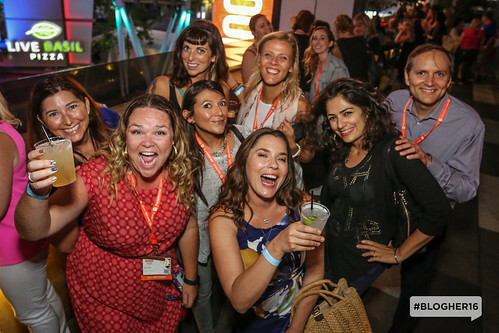 We only hung around for one drink, but it’s worth checking out. It’s well known for its cocktail happy hour. 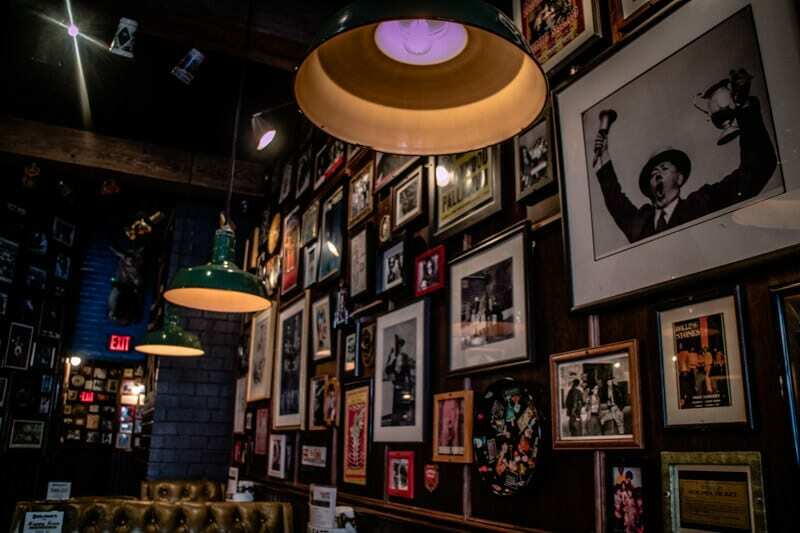 You just can’t beat an Irish pub right? Particularly as your last stop for the night. Casey’s is an underground pub that once was a general store and a Turkish Bath House. It has a lot of character, great Guinness, live music, and games like pool in the outdoor patio, and basketball hoop shooting. Fun place to be! 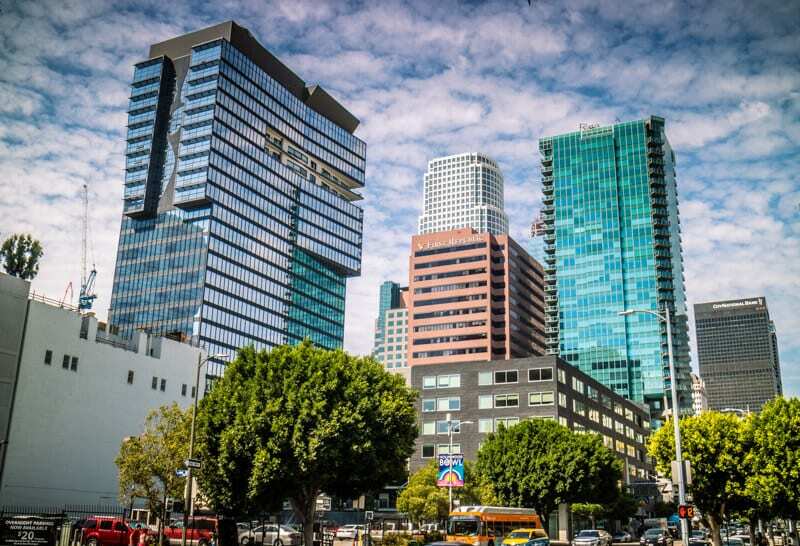 AirBnB is a great place to find an apartment for your stay in Downtown LA. You can pick up some great deals in good locations. Be sure to read the reviews. I stayed at an Airbnb property in the grungier part of town, which I loved! Its location was central so I could easily walk north, south, east, and west to explore the city. I loved my Airbnb apartment. There was a bit of noise from the surrounding bars, which made the Thursday karaoke evening difficult to sleep in. But I had earplugs to help me. The other two weekend nights, I just went out and joined them! My host was awesome and pointed me towards many of my favourite LA discoveries. 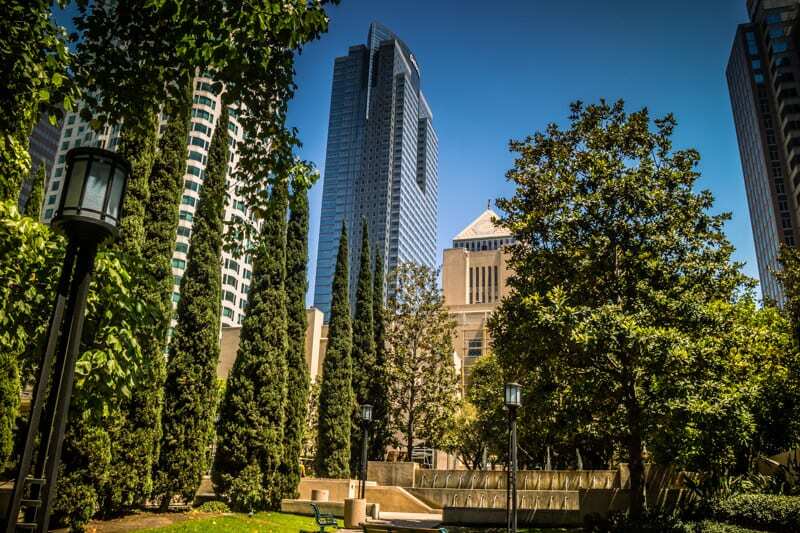 Check out more Airbnb properties in Downtown LA here. My friends stayed at the Sheraton Grand, so I went back to their room a couple of times. It looked fantastic and the location is central to many of the buzzing restaurants and nightlife. What a huge hotel to stay at. 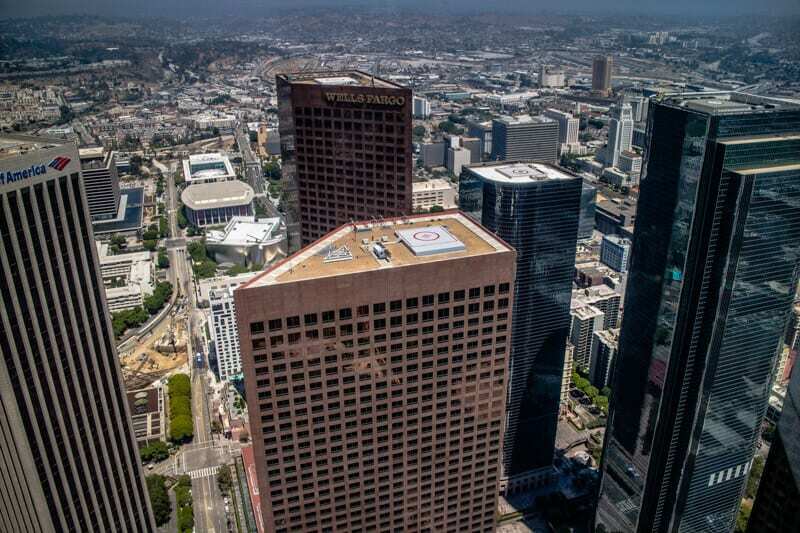 The J. W. Marriott is located in the LA Live area, next to the Staples Centre and where most of the nightlife is. The J.W. Marriott is where our Blogher conference was on. I either walked or used Uber. I loved Uber in LA. Unlike Australia, it’s a set price to get anywhere within the city. It cost me $5.15 every time. Once you book, you’re told the price and it doesn’t change. 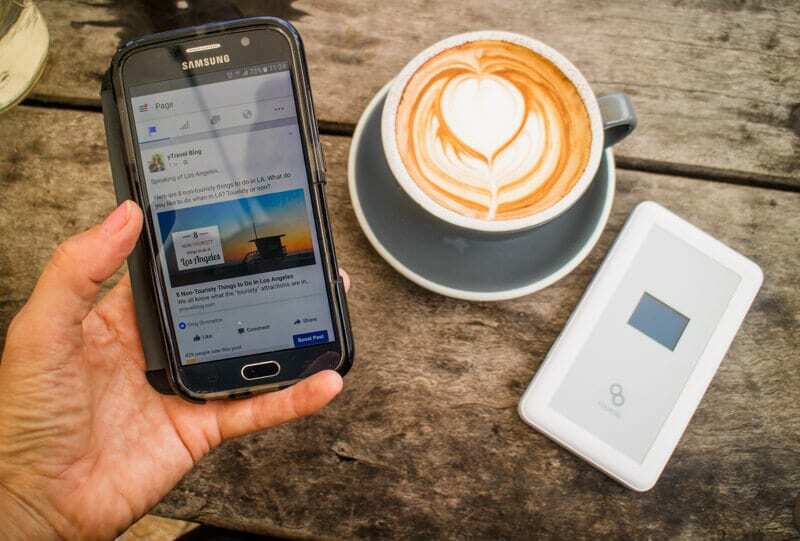 Check out more about RideGuru in this review post, a way to find the cheapest way to get around a destination. Many places have free wi-fi. Don’t forget to use a VPN for security. I had it in my Airbnb Apartment and I also used WiWander. (Read more about WiWander). It was an effortless way to stay connected.I loved it. Be sure to follow us on Instagram stories as we share all our behind the scenes, raw, in the moment fun on those channels! Subscribe to our YouTube channel also. 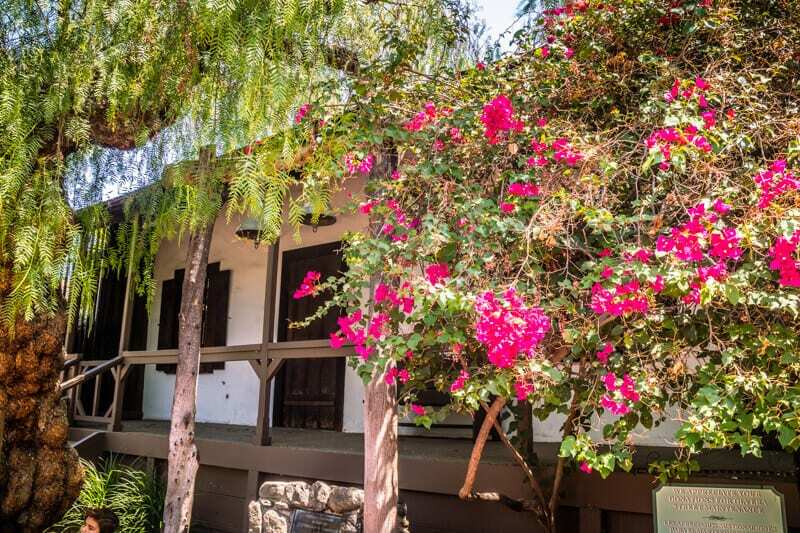 Booking.com has 890+ properties in Los Angeles including hotels, apartments, and guesthouses. You get free cancellation on most rooms and a best price guarantee. 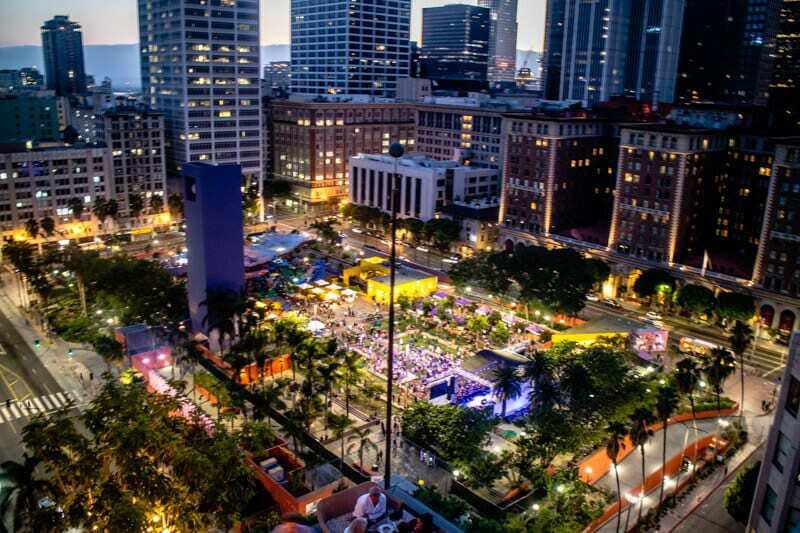 What other things to do in Downtown LA do you recommend? Thank you for the love and the L.A. tips! No worries Johnny! it was great hanging out with y’all! Thanks for all the advice! I’m going to LA in November, can’t wait to check out all the good places.. The Spanish square was definitely not something I had read about before..! I’m so glad I could introduce you to something new. Downtown LA is full of surprises! Don’t forget to share some of your photos on our Facebook wall! We’re looking forward to exploring more of it next year! 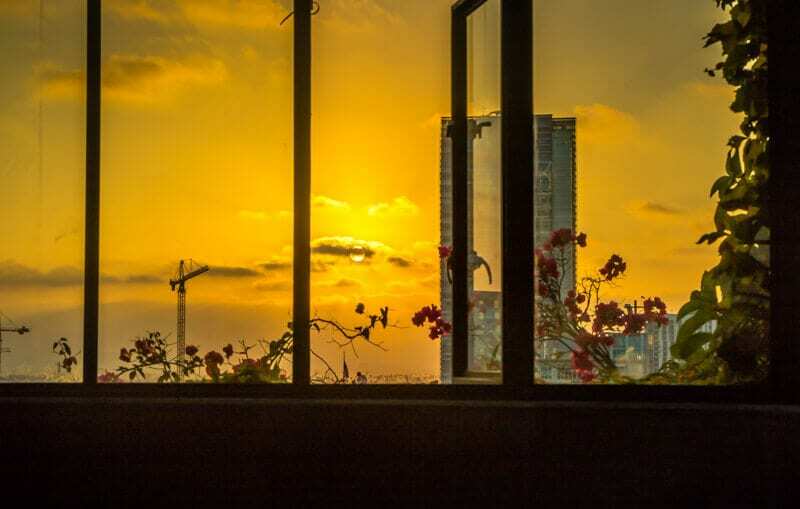 You gave a very accurate post including all the local favorites to the DTLA scene! I used to live in Hermosa, but moved to DTLA for 6 years as it was on the verge of what you saw today and each year got better. I spent way too many nights at Library Bar and Perch though. Haha. It’s nice hearing how your perception has changed! Now I’m at my nearly at my one year anniversary of traveling thanks to your inspiring newsletters! Oh I loved, loved, LOVED this article! This was a great read for me. 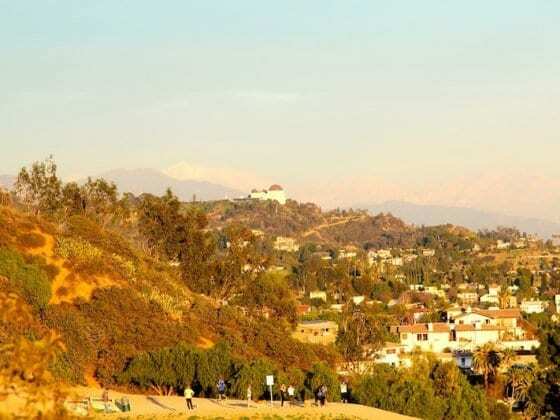 We have a home exchange organised for this summer in the Los Angeles area and we are excited but at the same time not sure what to expect! 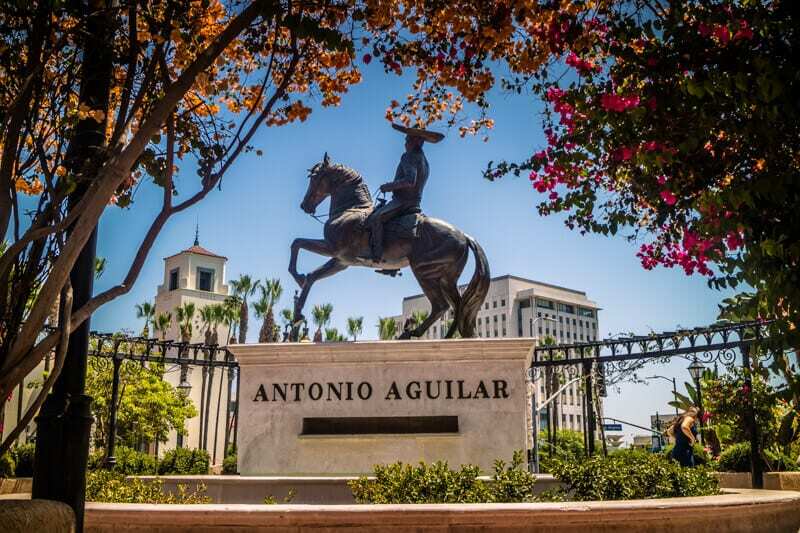 We have never been to LA and it seems such a varied, big city it is hard to get an idea of what it must feel like, no matter how much I read about it! It was great for instance to rad you were able to walk – I keep hearing LA is all driving all the time (so different from Rome and Dublin, my two cities!) and while I know it will be different for us as we’ll have the kids, this post made me quite excited about the exploring we’ll be able to do. So thank you for this post, I really enjoyed it and your photos make me want to fo there right now!